I have solid yellow, solid red or the blue to finish this with. I like red for the pop effect. It will be beautiful whichever you chose. You've done a beautiful job of making the reds "pop" with that inner border. What I would do is concentrate on making other colors "pop". That blue and pink backing fabric would be perfect, IMHO. 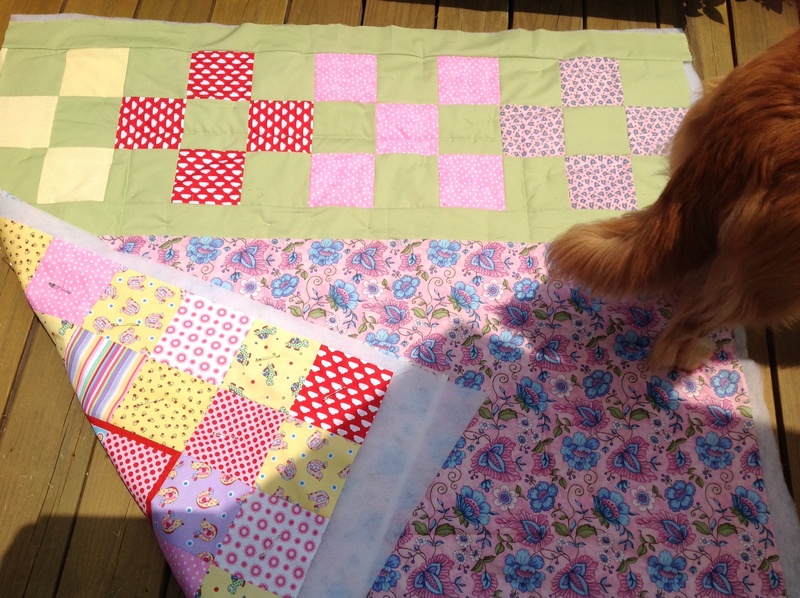 A nice border of that would make the blues and pinks "pop", as well as adding a cohesive element to the quilt. did you see the flange binding? It was on here not too many days ago. And I know there is a tutorial that was linked here as well. I think using that method with red and yellow would be good. Last edited by MartiMorga; 06-23-2013 at 10:57 AM. aw, thanks for bringing this up! I actually thought that would be cool and then dismissed the idea as too complicated. I didn't see the tutorial before so this is great! I might give it a shot.! Pink binding with a red flange would look good. i think i would do red! I vote for red, too. I like the red. Cute quilt. Another red vote here! Very pretty quilt. I vote for RED binding for sure! Red to accentuate the inner red border! red is not my colour , but, I do agree the red will work just fine, it will make the quilt pop!! I say Red to match the inside red and to help it really stand out. SMILE- it will make everyone wonder what you are up to. Stay strong and keep looking up. I'd say red, but if you do the flange binding, I'd put yellow inside with red. I've done the flange binding once, not hard, and it looks really nice. I am generally drawn to a darker binding, without knowing the color of your blue, I vote red. I vote for red! Nice quilt! Sweet quilt. I vote for pink or blue. I almost always use the flange binding, it is not difficult at all and it seems to tie it. I love the quilt, it is very pretty and very well done. I would use the blue for a border, then red binding. 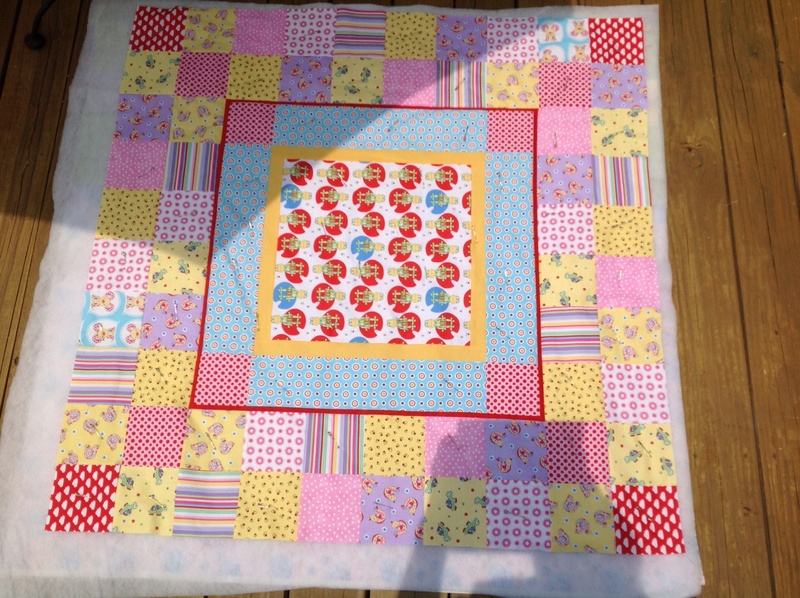 This repeats what you have going on in the center and gives balance and cohesiveness to the quilt.